LETS Abolish Money? Is there a Community Outside the Community of Money? The past decade has seen the emergence and proliferation of local exchange and trading schemes (LETS) in the UK. Advocates have claimed that LETS constitute an important challenge to the global money economy. 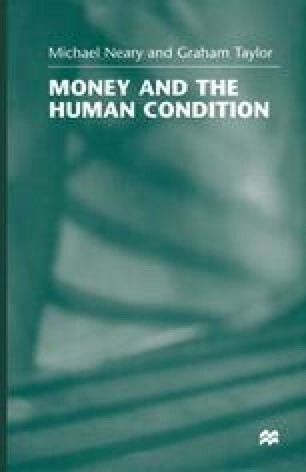 It is argued that LETS overcome the exploitation associated with the global money economy, that LETS overcome the fetishism of commodities inherent to the money economy and allow the unmediated production and exchange of use-values. In this way it is argued that LETS overcome the alienation inherent to the money form and allow for a revitalisation of local communities.